Children’s book author April Robins and her friends will act as your Hosts to open the gate at Robin Falls and welcome you into their Meadow of Books. Accompany the Host through the Meadow and meet Children’s Book and YA Author/Illustrator friends. In the Meadow’s garden, masterpieces of art and words are continually blooming and ready to be picked. So please sit in a circle on the green grass and listen to the storytellers paint with words. They will be glad to answer your questions once they have finished their presentation. Always, watch out for the hummingbirds and dragonflies. They too love the colorful books. 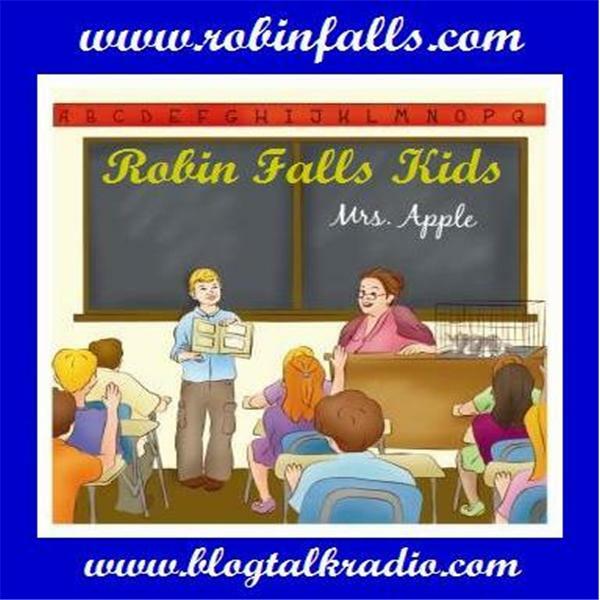 They also love Robin Falls Magazine and you will too. November 30 - Holiday Promo where Guest read for 2 to 4 minutes from their book. Guests are: Judy Cox, Deb Lund, Margot Finke, Verla Kay, Jacky Rom, Cheryl Lynn Pope, Fran Lewis , Suzy Stevenson Koch, L. Diane Wolfe, Sue Phillips, Velda Brotherton, Irene brodsky, Barbara Hodges, Vivian Zabel, Scott Heydt, Linda Bryan, David Lee Summers, Marsha Casper Cook, Gaill Cavanaugh, Lisa Cottrell-Bentley, Rachel Heskett, Barry Eva, Andrea M. Sornson-Kulman, and Angela Stevenson Ringo. Please join me for a entertaining chat with my guest, Deborah Paula Clayman. Find out along with me more about this talented woman. My guest for November is children's author Barbara Ehrentreu. Please drop by and see what this talented lady has to say about the field of children's writing.